Based on a study conducted over the first 12 years after harvest, planted lodgepole pine not only shows greater juvenile mortality and susceptibility to Armillaria root disease with higher rates of drying during the growing season, but also with lower spring temperatures. Modelling the combined effect of both climate variables has allowed mapping of where reforestation success is most at risk. Improving soil conditions by site preparation appears to reduce adverse impacts of climate on regeneration. Variable and sometimes high levels of mortality in lodgepole pine (Pinus contorta Dougl. ex Loud. var. latifolia Engelm.) 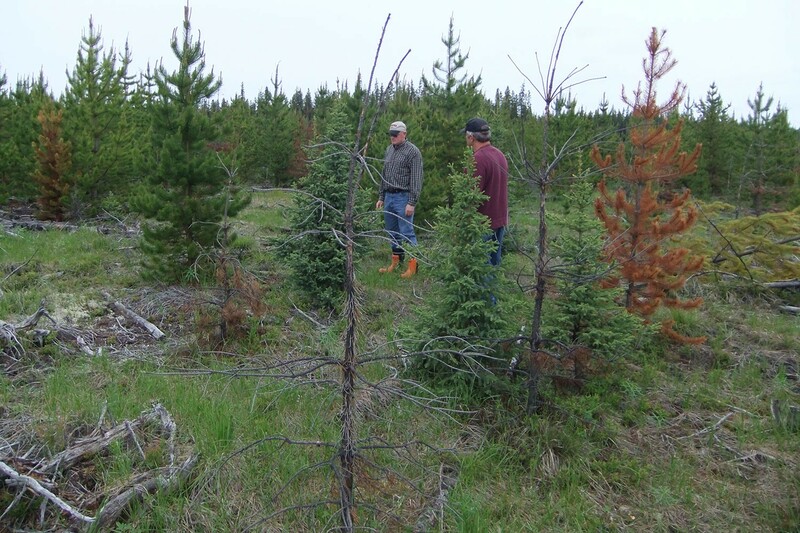 planted in western Alberta have raised awareness of the need to forecast and ameliorate risks to reforestation success. Mortality and health of regeneration during the 12 years following harvest were monitored and evaluated in relation to climate, site and silvicultural treatments. Results suggest that physiological stress related to evapotranspiration is the most prevalent cause of overall juvenile mortality and susceptibility to Armillaria root disease in planted pine. Mortality and disease not only increase at higher rates of drying during the growing season, but an opposite effect is also demonstrated whereby they decrease with increasing spring temperatures. Mechanical site preparation aimed at countering mortality and disease of planted stock with improved soil conditions appears to have good potential for ameliorating adverse climatic effects in juvenile stands.